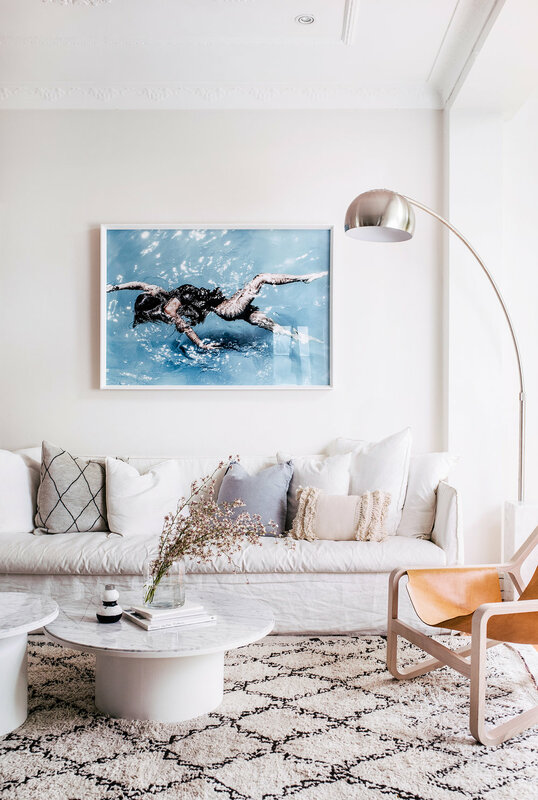 The home of Marcia Leone, founder and editor of award-winning website Not So Mumsy, strikes a perfect balance between stylish and child-friendly. 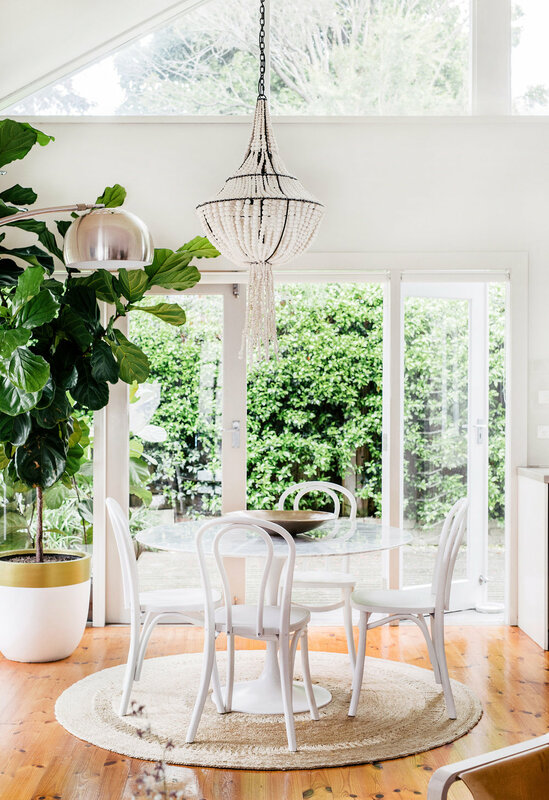 Marcia worked with interior stylist Crystal Bailey to create a chic yet relaxed abode. 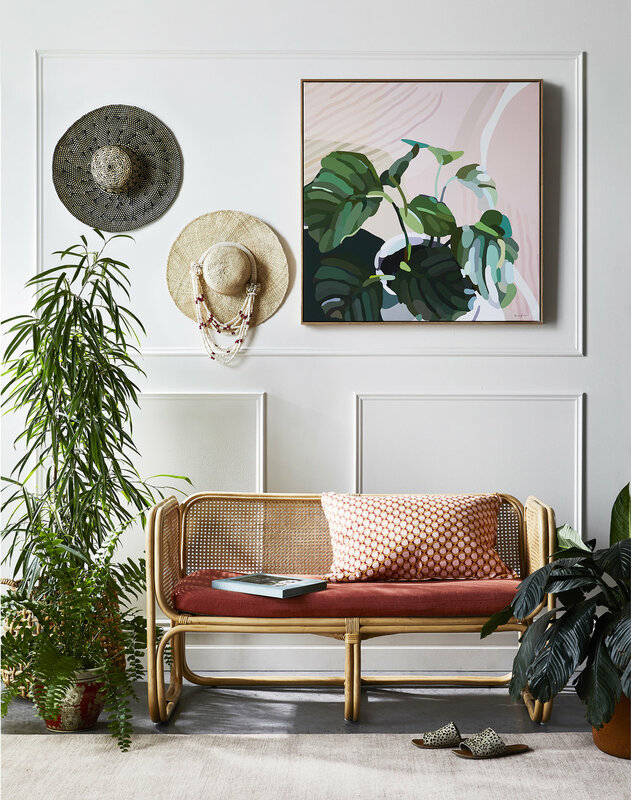 Combining boho and coastal luxe design elements, the colour palette is neutral, with pops of colour and plenty of greenery, including Marcia’s healthily over-sized fig tree (“I have no idea how I’ve kept it alive!”). Thanks to a fabulously global lifestyle courtesy of her successful online platform Not So Mumsy, Marcia has incorporated pieces from her travels into her home, and many of the artworks are pictures from her trips. She also appreciates sustainable wares with a human story, such as her Klaylife chandelier with clay beads hand-rolled by a community of women in South Africa, and her Beni Ourain rug from Tigmi Trading, which was made by artisans in Morocco. With its abundant natural light, original floors and stained-glass windows, Marcia’s home radiates charm with a modern touch. This is an edited extract from Adore’s Summer 2018 edition. Click here to buy online. Also available from select retail stores (click here for the list) or in newsagents Australia-wide. I’ve always wanted to do a staycation in my own home city, but there hasn’t been a hotel that’s got me excited enough to book in. That of course changed when I discovered The Calile Hotel – a brand new hotel in Brisbane. There’s something quite unique about doing a staycation in your own home town – I’d highly recommend it as you see the city in a total different light – as a tourist. You try new cafes that you might not necessarily get to normally, explore surrounding shops at a more leisurely pace (no need to worry about the parking meter expiring) and if you forget to bring something – home is not too far away! So what did I love about The Calile Hotel? Everything. This hotel is very much focussed on details. Every single detail within the hotel was so well thought out and beautifully designed. A hotel should inspire you, and that’s exactly how I felt while there, so many ideas within the hotel and some that I’d love to implement (on a smaller scale/level) in my future home. 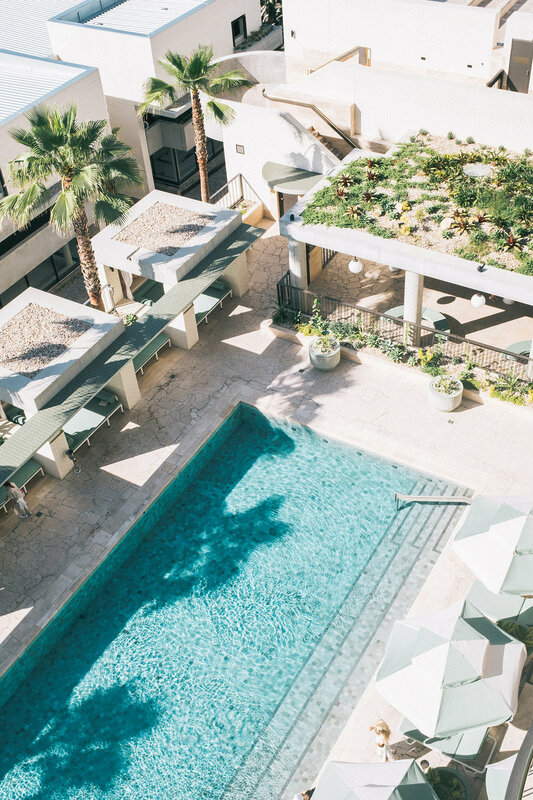 Travel should always inspire, and this staycation certainly did that. 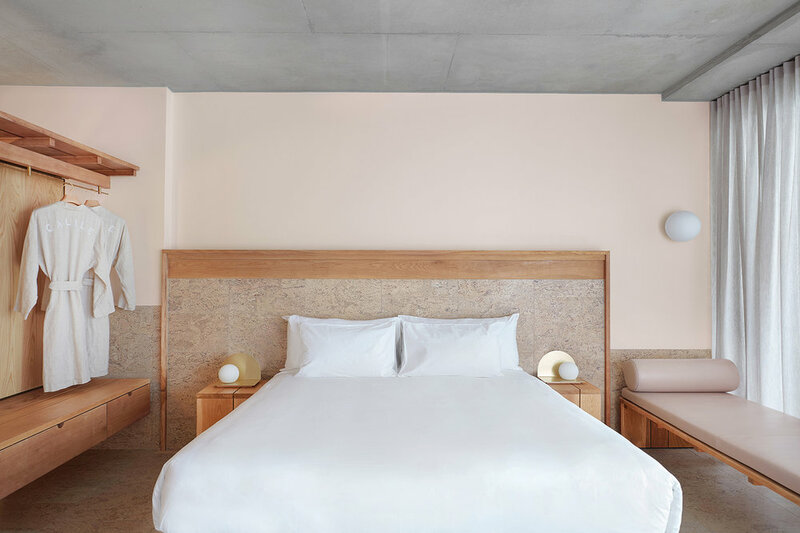 Our poolside room featured rose pink walls, cork floors and rosé-tinged marble details throughout and oh, a heavy-handed splash of brass (yaasss). It had me oohing and ahhing at every turn. Like a kid in a candy shop I spent the next twenty minutes after check-in going over every single little thing in the room – from the blockout blinds (that yes make the room completely black so you can sleep in), to the custom made circular mini bar, to the brass bin (I’m still trying to hunt one down for myself). And of course the view of the pool from the balcony is fantastic. It was calling my name, so of course I had to oblige. The pool area is gorgeous. 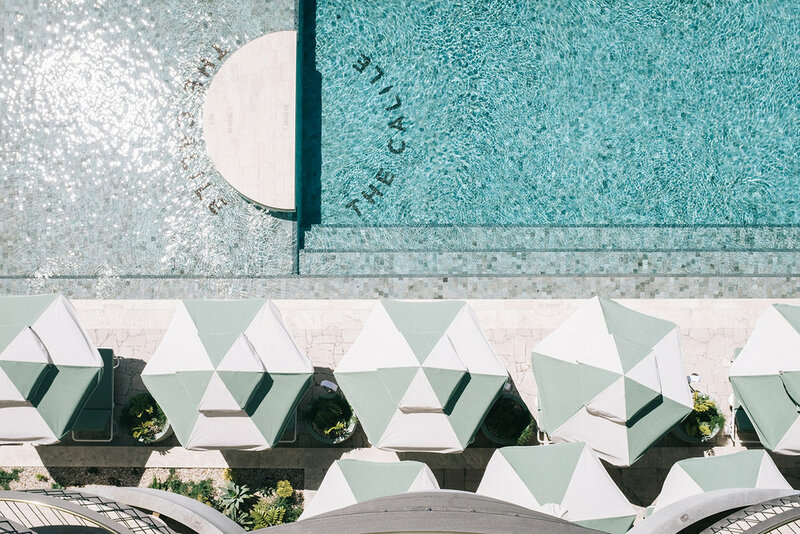 I found myself lusting over the mint striped umbrellas and all of the design details within the cabanas – from the circular inset ceiling, arch-shaped breeze blocks, linen curtains, and even a ceiling fan and speakers – they really did think of it all. I so want to recreate the look in my future home! Hellenika restaurant is located on the pool level, and you can order off their poolside menu whilst lounging about on their deck chairs or cabanas (order the zucchini trips – trust me – they’re highly addictive). And Hellenika even seat guests in some of the cabanas, they just convert the middle of the day bed into a table – genius. 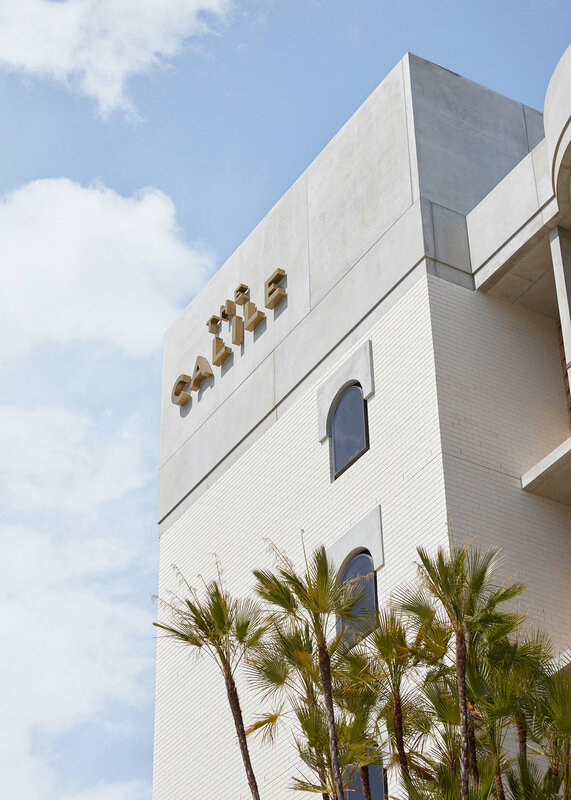 The Calile Hotel is in my opinion, a world-class hotel and is no doubt a destination in itself. Interstate and international readers reading this – add Brisbane to your itinerary and book a stay! Click here to book your stay. At the start of each year I always feel a spring clean coming on. It’s that time of year to set yearly goals and give the home a full tidy. 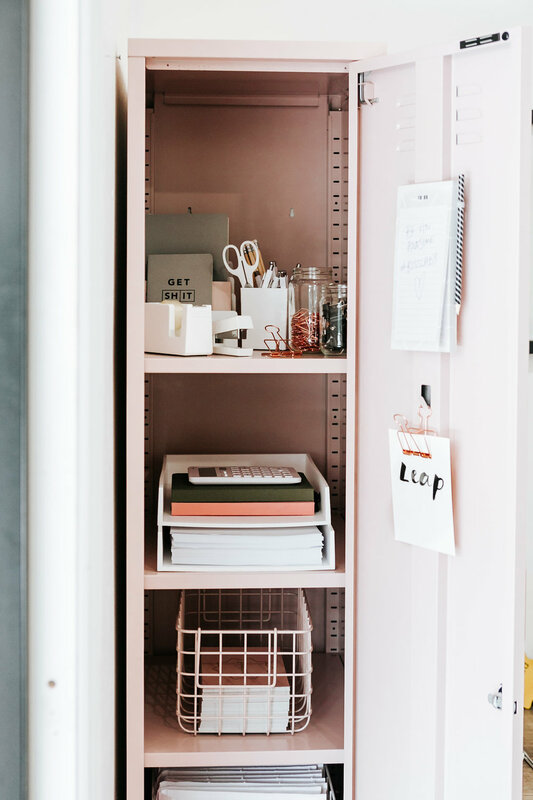 Here’s some great products to get your laundry, home office and wardrobe super organised. In the laundry, things can look scrappy pretty quickly – a mismatch of ugly laundry bottles/products, and clothes strewn all over the place. Organisation is paramount in this space. A hanging rail is essential for hanging hand washed and delicate items. I love this leather hanging rail from H&G Designs pictured above – they also work for the wardrobe with a shorter hanging strap (I believe they can also custom design to suit your needs). A drying rack is also an essential – I personally don’t like plastic/metal ones as they rust over time from wet washing. They’re just not practical in the long run and not all that pretty to look at either. 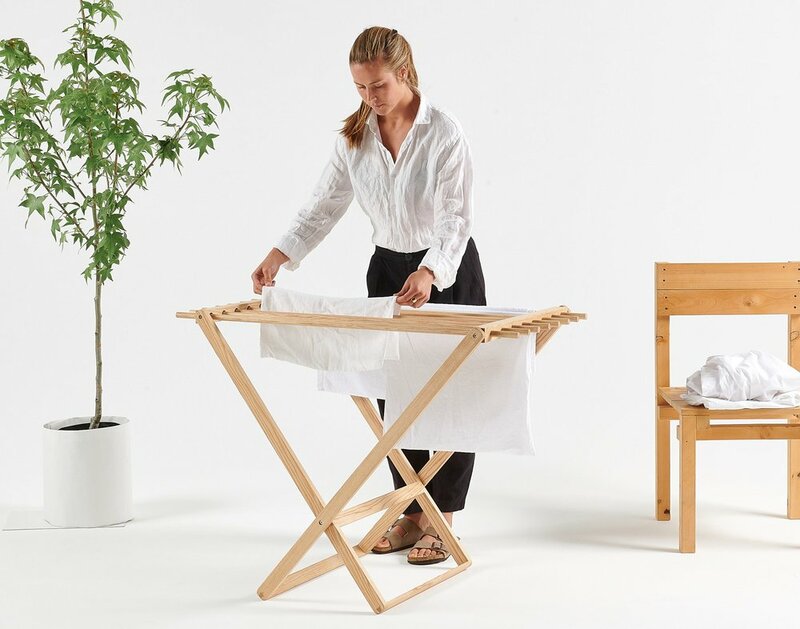 But when I stumbled across this Everyday Drying Rack from George & Willy I rejoiced – finally a company making beautiful racks that won’t rust, and last the test of time. The only downside is that it doesn’t hold a lot – but it’s a great one for smaller loads of washing or delicates that can’t go in the dryer. Plus look how it folds up (see image below) – it neatly sits flat on the wall so won’t take up lots of space when not in use. Is it just me, or are pretty much all laundry products from the supermarket ugly in terms of packaging? If you want to give your laundry a quick refresh that won’t cost much – how about pouring your cleaning products into clear glass bottles and adding custom labels? These ones from Boxwood Avenue (pictured above) are free to download (click here for it) – you just need to print them out yourself on sticker paper. I think I’ve found an easy task for myself to complete this weekend. 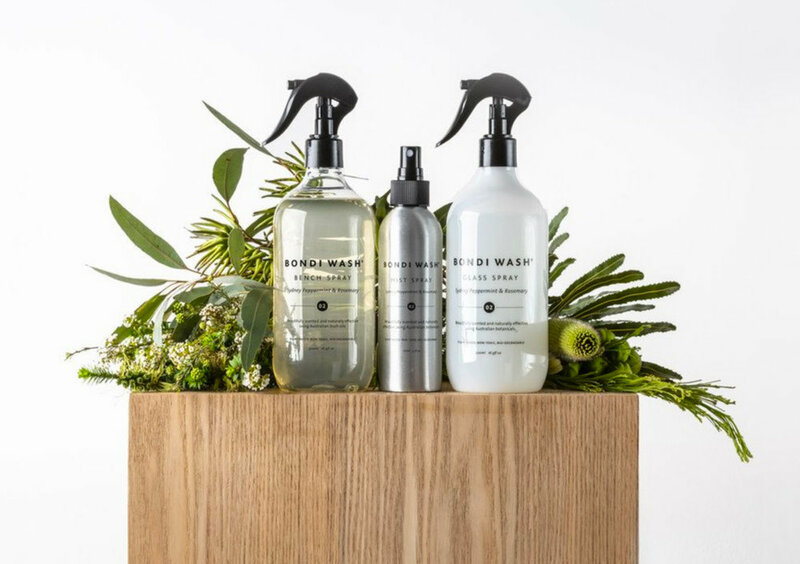 If you can’t be bothered with all of that and are hunting for beautiful, simple-looking products for the laundry (and bathroom) I can recommend Murchison-Hume and Bondi Wash products also (pictured below). Total laundry goals right here – pictured above is Jillian Harris’ amazing laundry. Gosh look how organised it is, and I just adore that cute laundry tub on wheels. Unfortunately it’s from the US and looks to be out of stock at the moment, so I’ve rounded up three other stylish options from Australian retailers below (simply click on each to shop). When it comes to wardrobe organization – I find drawers within wardrobes to be hugely helpful in keeping everything tidy. Hanging clothes up immediately after washing/drying is something else I have a habit of, otherwise the pile of clothing can start to accumulate and clutter up the bedroom. If you’re tight for hanging space, only hang that season’s clothing up - for example in the summer I only hang my summer wardrobe - anything suitable for winter (jackets, coats, long pants etc) get stored inside a couple of suitcases until it’s time to bring them out again (and then I store away summer clothing). Even if you have oodles of hanging space I find this helpful in locating clothing - you don’t want to be sifting through a dozen coats in the middle of summer when all you want is a t-shirt! For fashionistas, an open wardrobe might be something of a consideration – I could see this piece above (from Curious Grace) in a beautiful dressing room. And only hanging and displaying your most beloved pieces (colour coordinated of course)! 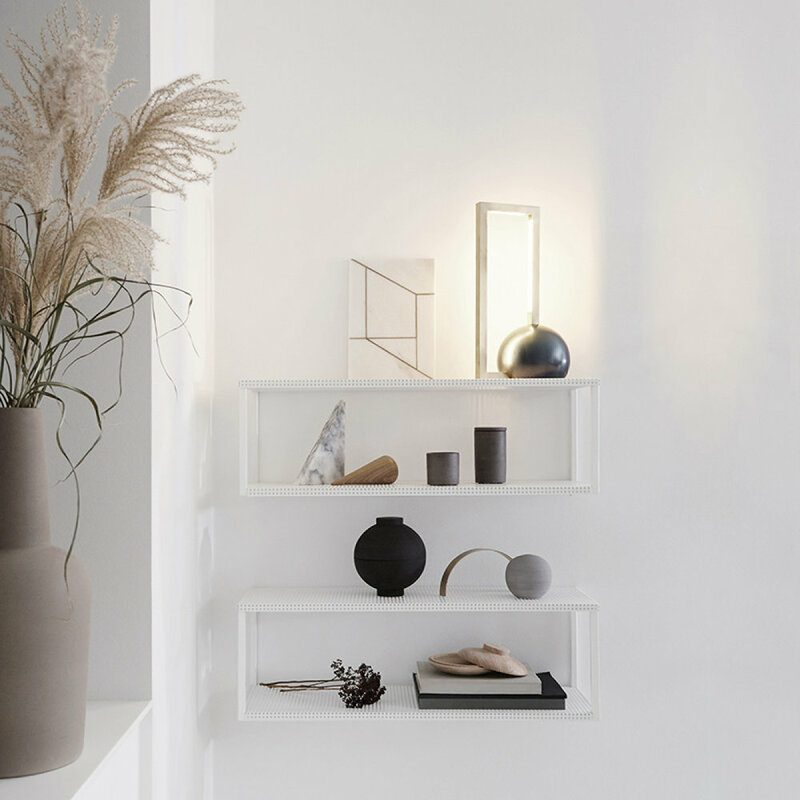 Jewellery and shoes also need a home – I’ve rounded up a few stylish storage pieces below. Longing for a seaside escape this summer? Why not spend a few days in Port Stephens just a half-hour drive from Newcastle Airport. Here’s my personal guide to the best spots to stay, eat and play in the region. A couple of months ago my partner and I headed to Port Stephens for a short vacay. We started our trip at The Anchorage – its idyllic location overlooking the harbour is simply superb. Who doesn’t love a view of both water and boats?! It was our second time here and it was a nice surprise to discover they now have two pools – one for families and the other an adults only infinity pool (pictured above). Too bad it was too cold to enjoy a swim, oh well just another reason to come back in the summer! 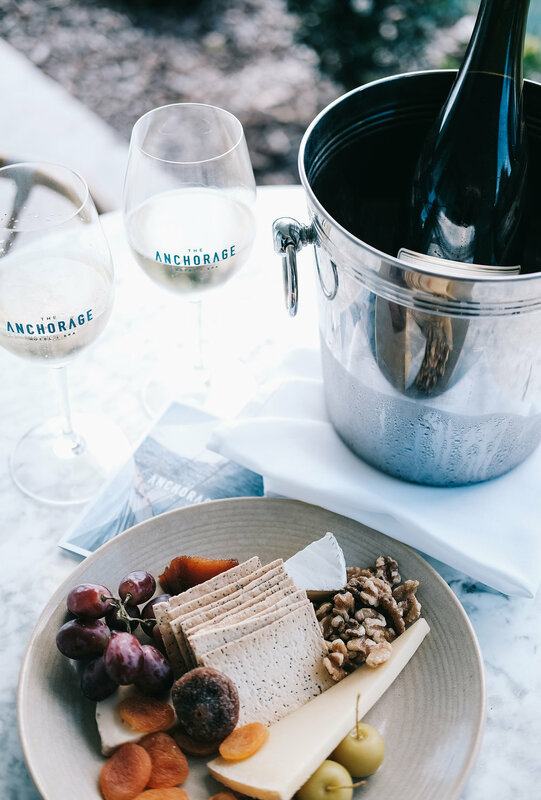 What I love about The Anchorage is the Hamptons-style exterior, its proximity to the beach, and the full buffet breakfast included – everything you can possibly imagine for breakfast is available, including champagne! Our suite on the ground floor was amazing – really big in size, and complete with a patio with beach views. Not a bad spot to enjoy some wine and a cheese platter. Ahh, I could get used to this. With two onsite restaurants, a bar, two swimming pools, and a gym you’d be forgiven for never leaving the hotel. But of course with everything so close by (just a few minutes drive) you’ll want to explore the neighbouring areas for a spot of shopping, cafe hopping, or nature exploring (a hike up to the summit of Tomaree Head) is a must. A trip to Port Stephens wouldn’t be complete without visiting Shoal Bay Country Club. It’s a total insta-worthy destination, at every turn you’ll find something to gush over! That’s thanks to interior design firm Luchetti Krelle who completely renovated the historic hotel last year. There are lots of different zones within the venue including Mermaids Cafe – a great spot to start the day with a delicious breakfast. Me and my partner had a tasty lunch in The Kitchen – situated upstairs overlooking the beach. I couldn’t think of a better location to enjoy fish and chips with a side of bruschetta. I totally recommend the fish and chips – it’s the crispiest batter in town! 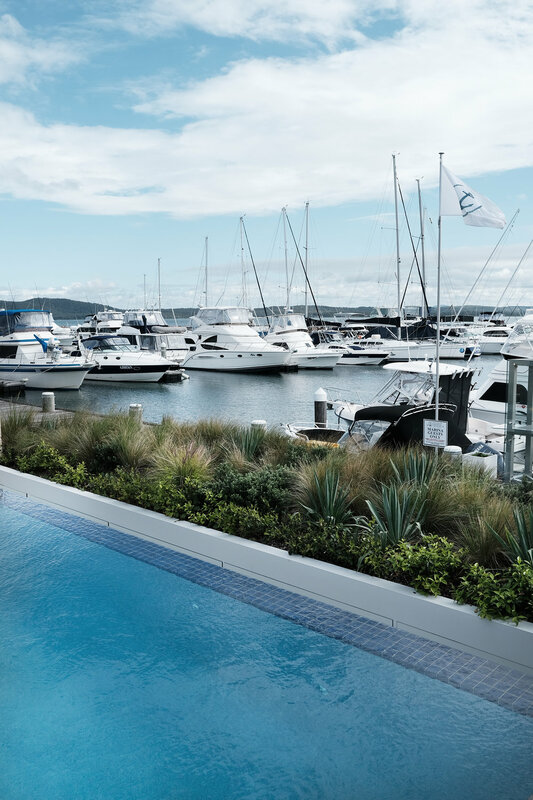 Bannisters newest hotel is located in beautiful Port Stephens and oh my it did not disappoint. We stayed here for our last two nights in Port Stephens – a great way to finish our trip. With magnificent ocean views over Salamander Bay, the hotel has been completely renovated and extended. The infinity pool overlooking the sea is breathtaking. I really enjoyed the food too. 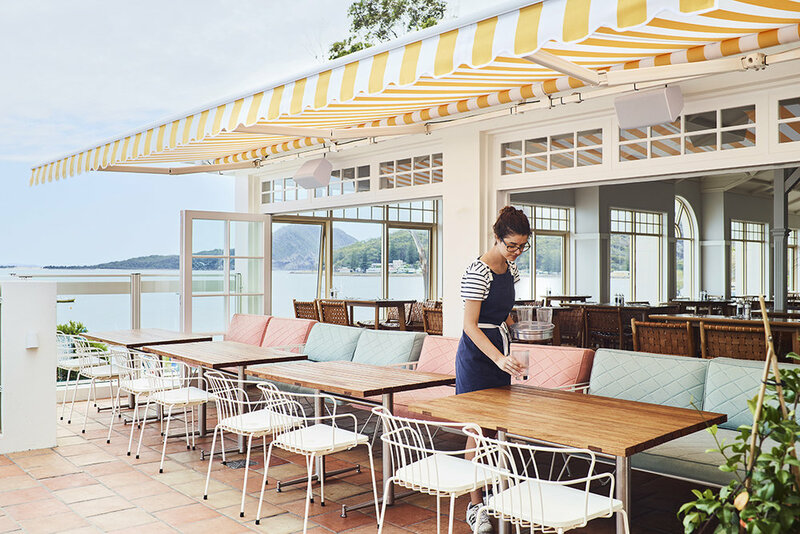 If you’re a foodie, and love Rick Stein, you’ll want to check out his signature restaurant onsite. We dined at the informal Terrace Bar (overlooking the pool and ocean) for both lunch and dinner – the highlights included a Grilled Haloumi Salad with pear, candied walnuts and ruby grapefruit (pictured below) and the Fish Tacos with pico de gallo and chipoltle crema (also pictured below). Both were light yet super tasty – the perfect dishes to match those sea views. 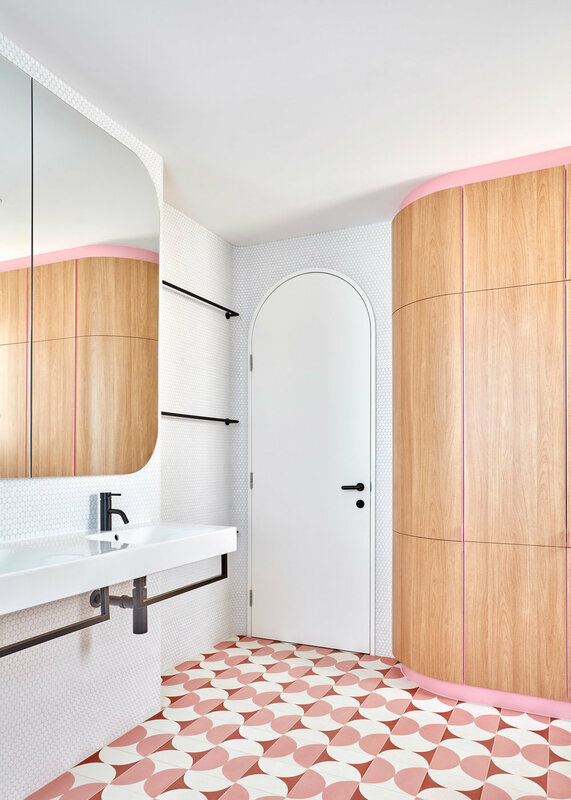 Oh and the interior in the foyer and adjoining Terrace Bar were equally as fresh – a colour palette of dusty pink and soft olive green was oh-so-delightful. We also enjoyed a complimentary continental breakfast in Rick Stein’s signature restaurant. There was so much to choose from – muesli, yoghurt, fresh fruit, pastries, coffee, juices and toast. But if you want something more substantial you can order a cooked breakfast off the menu. The rooms are super comfortable too, with most having ocean views and a balcony to take it all in. I loved that the interiors were pretty much all white, it’s just a beautiful, clean look that doesn’t compete with that amazing view. I’d totally recommend a stay here and even if you can’t stay the night, definitely dine at one of the restaurants on site (just be sure to book a table – it gets packed out pretty quick). After hearing rave reviews about The Little Nel, we naturally had to pop in for lunch. With just about everything leaving the kitchen made in-house and from scratch, you can certainly tell when you taste the food! I had the Avocado & Tomato Bruschetta while my partner opted for the Braised Wagyu & Mushroom Pot Pie (both pictured below). He told me it was quite possibly the best pie he’s ever eaten, and mine was equally delicious. When I come back, I’d love to try the breakfast menu! If you’re looking for fun activities in the region, a trip to Oakvale Wildlife Park is in order. Get up close and personal with a range of creatures – from kangaroos to lamas to oh-so-cuddly koalas. I could have watched the koalas all day – they are just the cutest – check out the picture below of the mother cuddling with her baby. Oakvale is a must for families and animal lovers (like myself). Want to read more about Port Stephens and what’s on offer in this magical part of the world? 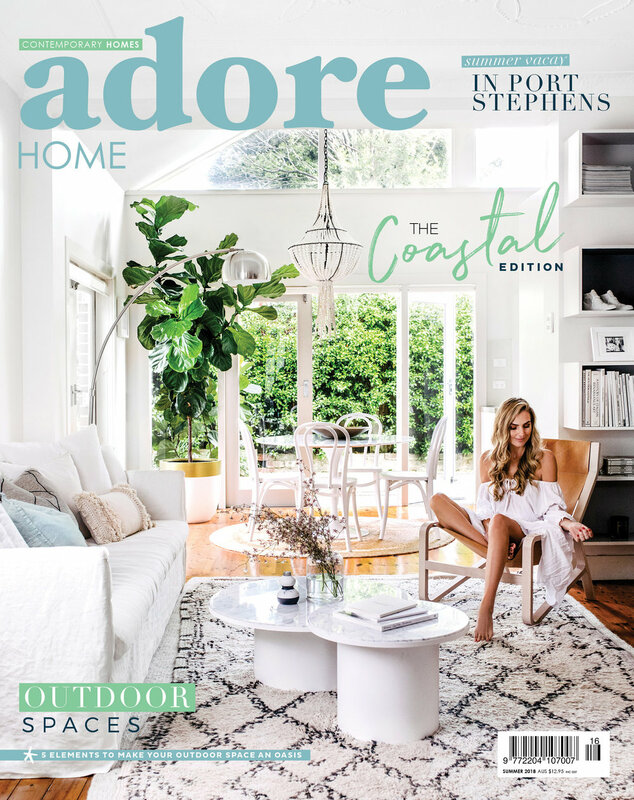 Buy the new Coastal edition of Adore - in newsagents Australia-wide. Click here to buy online. Summer is almost here, and with that, a new issue just around the corner. Yep our new Summer issue – The Coastal Edition is jam-packed with easy breezy interiors and outdoor spaces. Our Coastal edition is filled with interiors that ooze relaxed seaside vibes. Our front cover home featuring the adorable Marcia Leone of website Not So Mumsy is serious house goals – I’m totally crushing on her casual boho style. We also have a jam-packed outdoors feature showcasing how clever use of just five elements can create a luxurious oasis in your backyard. 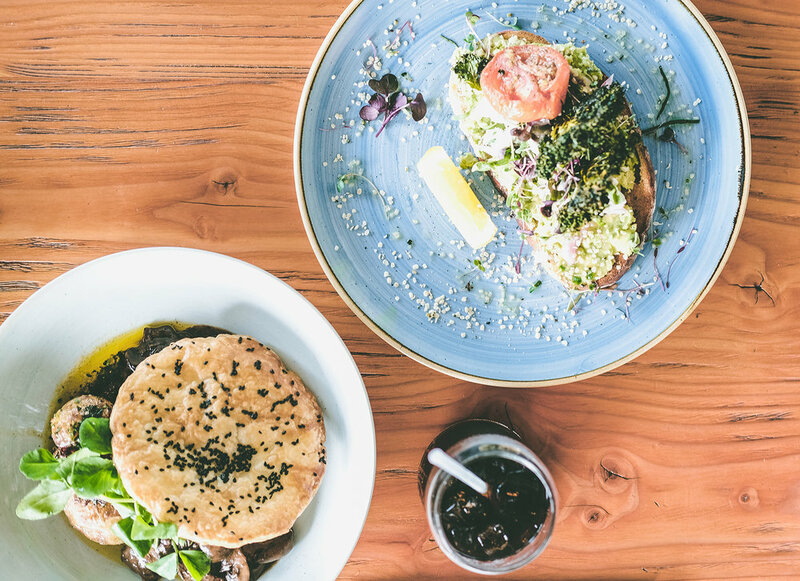 Plus, our travel guide to the hottest spots to eat, play and stay in the Port Stephens region is a must-read. Trust me, I was lucky enough to experience the area first-hand myself a couple of months ago. Just a half hour drive from Newcastle airport, Port Stephens is a magical part of the world with its pristine beaches – think pure white sand, crystal clear water and the occasional cheeky dolphin. The Coastal edition will be in newsagents from November 29. The Coastal edition is available now for pre-order (click here). All orders will be sent from Friday 23 November. 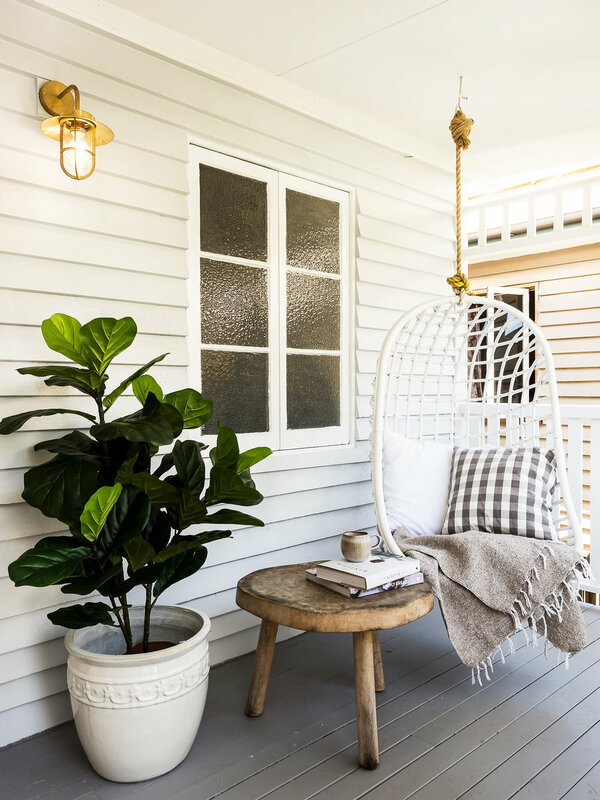 This transformed Brisbane workers cottage now evokes modern farmhouse vibes thanks to professional renovators ULIA Group. Joan Leahy shares how they did it. 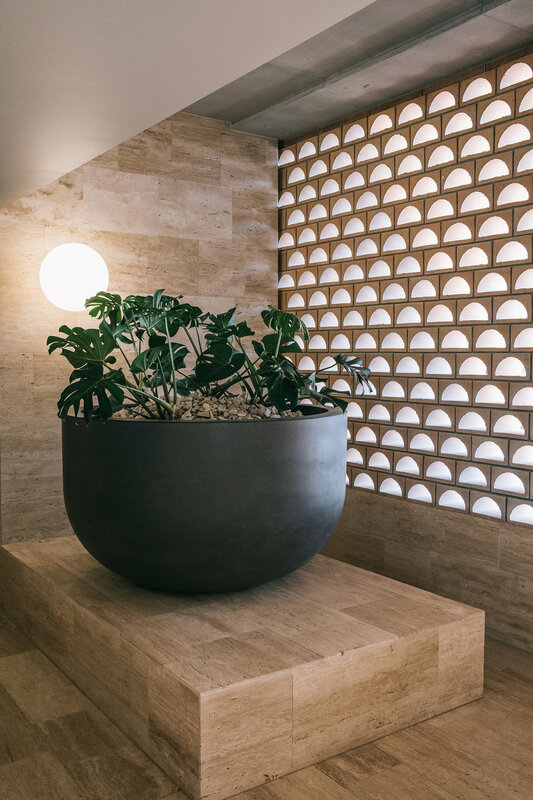 ULIA Group renovate and flip homes for a living, so it’s no surprise then that their latest project has been beautifully transformed. Joan Leahy of ULIA describes the Camp Hill workers cottage as being in much need of some tender love and care. “It was very overgrown, untidy, mismatched bedroom colours and no built ins,” recalls Joan. The farmhouse style kitchen is a definite highlight of the home – with the island bench painted in Dulux Sage Green. It’s up for auction this Saturday 24 November. See the listing on realestate.com.au by clicking here.